A Bakehouse is first recorded (in the Church Rates) in 1766, held by Martha Dench. The house, which appears to be originally 2 cottages was probably built in the early 1700’s. The left hand cottage has an axial stack, which might suggest of 17th. century origin and the right hand later. They were both 2 room cottages. The 1779 Auction Prospectus lists the leaseholder as Matthew Goodyear Palmer, Messuage & tenement & 14 ½ acres Rent 6/-. His wife, Nancy, was a member of the Venn family who may have been Bakers and holding the Lease earlier. By 1790 Survey the lease was held by Nicholas Ellis. Nancy Palmer is still named as a Life, as is Nicholas’ wife Grace (nee Hollett). 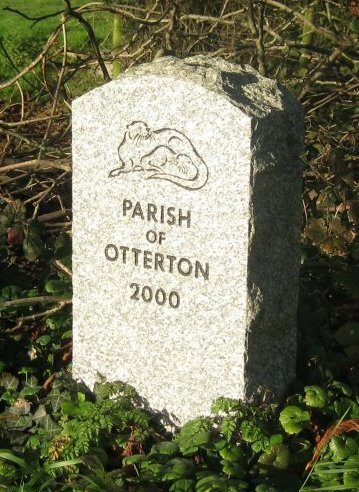 He was baker and a Churchwarden at Otterton Church from 1795 to 1809. He died in 1825. His wife Grace continued with the lease to her death in 1837. In 1839 Henry Roberts, White Bread Baker, took out a new 99 year lease Rent 6/6d, Dwelling House, bakehouse, offices. 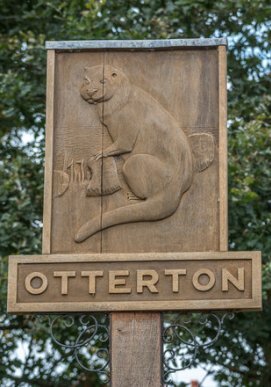 Garden, orchard “all corn, grain & malt to be ground at Otterton Mill”. (CDE 20045) He had probably been working for Mrs. Ellis before her death. Does this indicate that the old lease had expired and the building was erected in 1740? Henry, Walter and Charles Roberts were baking there until 1870 James Bridle took the lease in 1871 and died 10 years later. He had previously been running a bakehouse in premises between Goslings smithy and Spinning Wheel cottage (Tithe 1049) and was from Newton Poppleford. On his death his widow Charlotte with her son Arthur, continued the bakery until she went out of business caused by her other son Walter and just before her death in 1890. By 1894 Rentals Mrs. Jemima Snow, dgt. Henry Roberts & life on 1839 Lease, Is holding it. 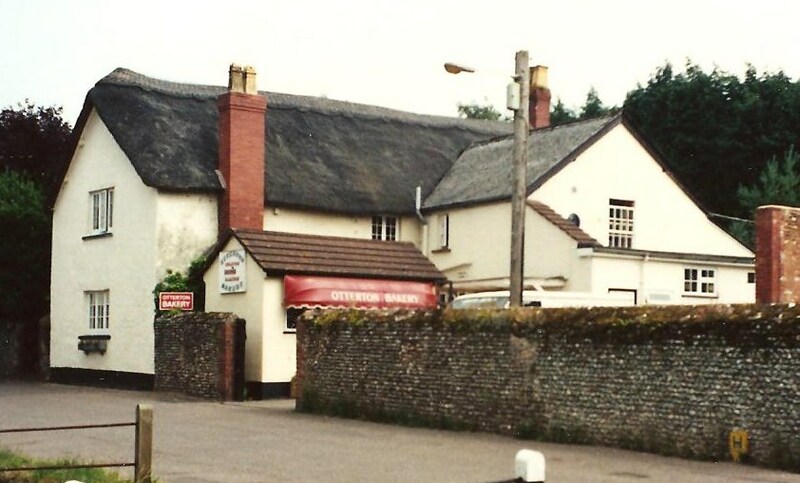 Later in the 1890’s Thomas Brewer moved from Exeter to Otterton and took the bakery over. He is still there in 1914. By 1921 Arthur Payne is running the business. 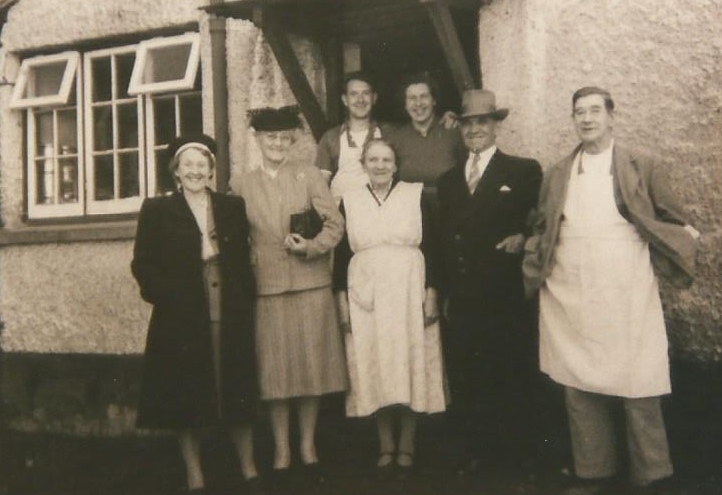 By 1946 he and his two sons Harold & Ernie are baking “ Charlie Fisher in his reminicenses writes” They made beautiful bread here and numerous cakes and other confectionary matter, Sundays they would cook the Sunday joints for those without ovens”. 1946 Arthur Payne, family and staff. By 1957 the brothers had moved on. A Mr. Williams(?) and Sam. Pitman ran the business for several years delivering as far as East Budleigh & Yettington. They would make a cottage loaf if required. During the 1970’s (1979?) Mrs. Eleanor Payne bought the Bakery and House. Samuel Pitman continued as her tenant. By April 1994 his lease had run out and Mrs. Payne wished to close the Bakery and applied to change the use of the premises to residential purposes. At that time Sam Pitman with Les Brown had built up a thriving business employing 6 villagers and supplying bread etc. to Colaton Raleigh, East Budleigh, Newton Poppleford, Woodbury Budleigh Salterton and Otterton. A petition signed by about 1000 people was presented to the District Council, but Mrs. Payne refused to change her mind and the Bakery was closed in November 1994.